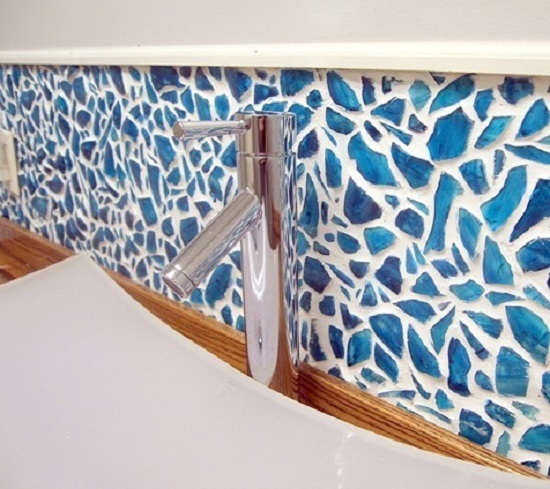 Mosaic DIY ideas for those of you who are in love with tesserae! 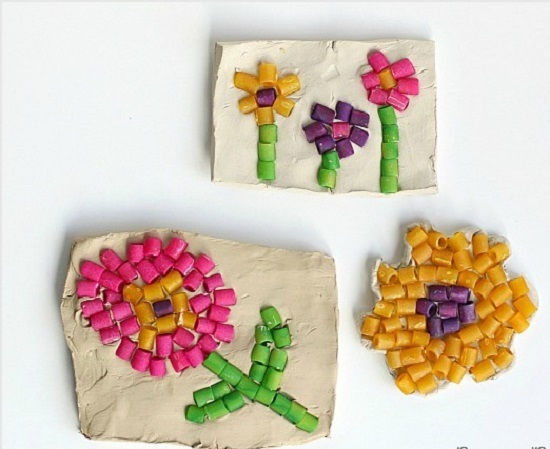 These DIY mosaic crafts are absolutely fun and to-do with your kids! A fun project with ample sensory stimulus; this DIY involves transforming everyday objects with dyed pasta to create unique impressions that convey heartfelt emotions. Follow the directions here. 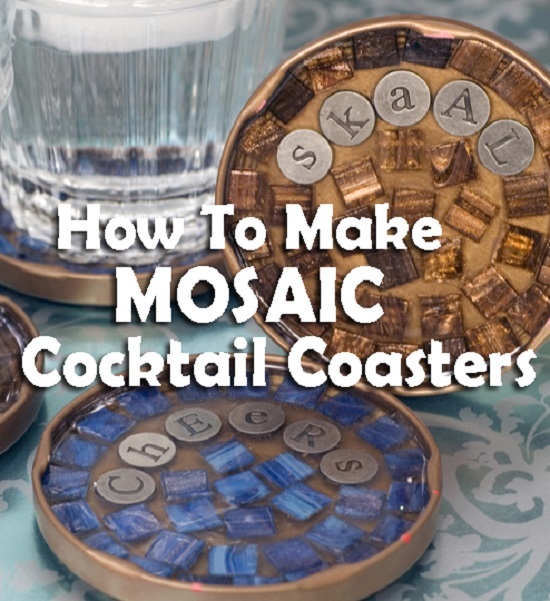 This interesting mosaic DIY includes artistic and mathematical elements, letting you exercise both hemispheres of your brain while having some fun in the process. Get the instructions here. 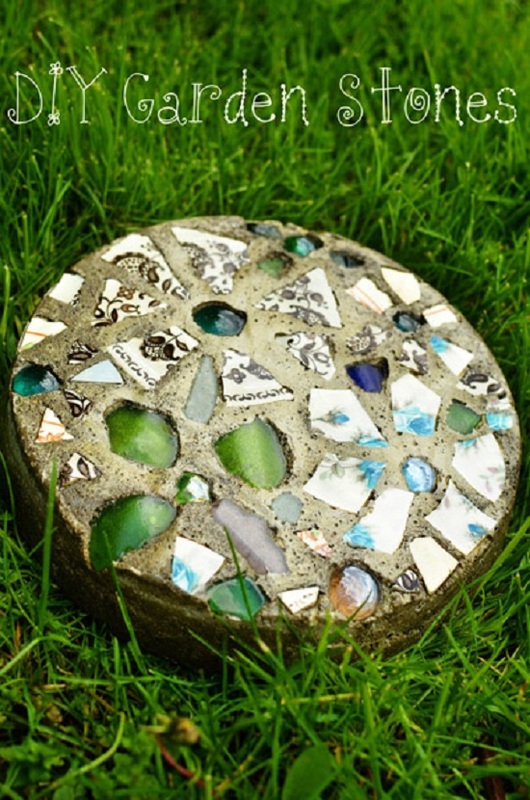 Give artistic vibes to outdoor seating space with this beautiful tabletop customized with scrap pottery and broken tiles. Follow the DIY here. 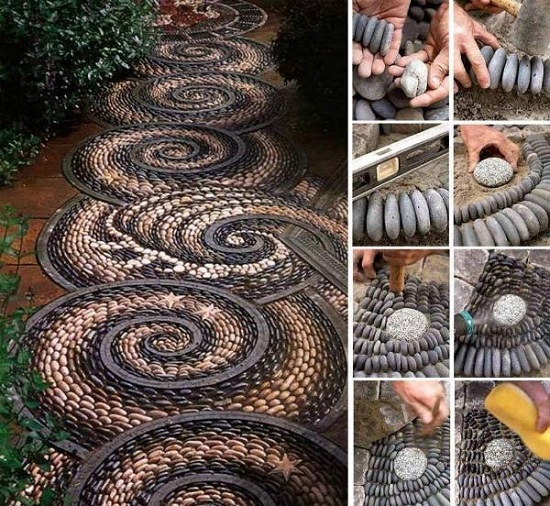 A sure-shot way to add character to your garden, this unique garden path creates a focal point that set your home apart from others in a cookie-cutter neighborhood. Get the DIY here. However fancy your kitchen gadgets may be, this DIY serving tray with its whimsical mosaic is the one to get all the points for its beauty and simplicity. 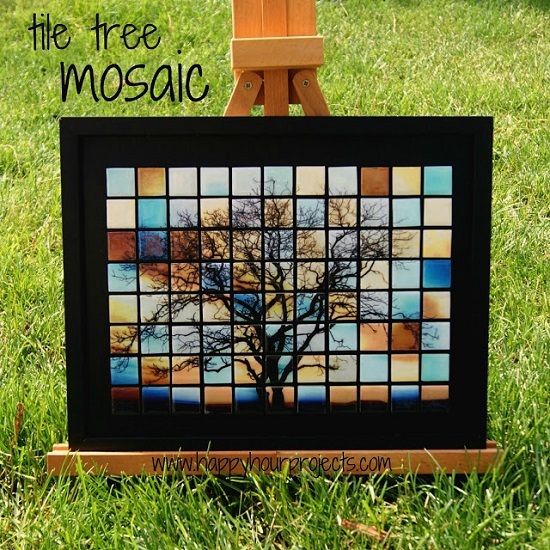 Get the details of this one of a kind mosaic DIY ideas here. If you want a particular photograph to capture all the attention in the room, consider lacing the frame with bead embellishments that are easy to customize with colors and patterns. Click here for details. A must prop for those planning on an outdoor wedding, these stepping stones made using a nonstick cake pan, and contact paper requires little skill and get done in one afternoon, provided you have your bridesmaids’ help. Follow the directions here. 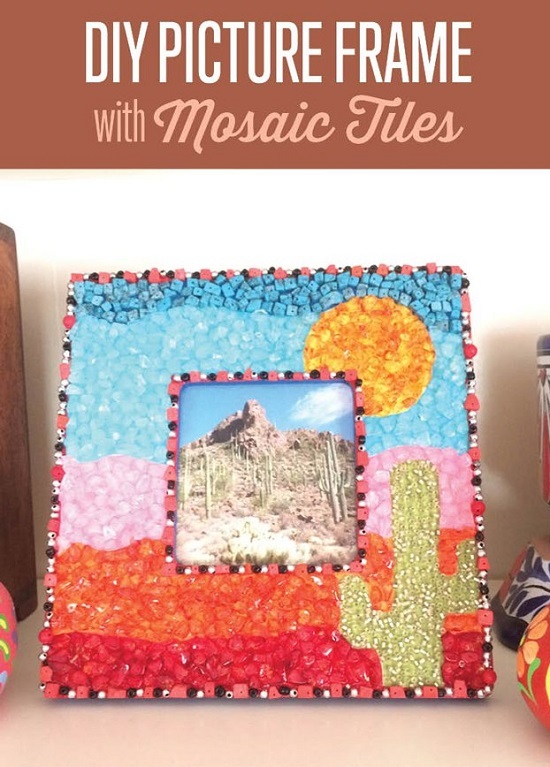 With spectacular colors that suit every holiday theme, this DIY is among the tedious mosaic DIY ideas yet an excellent way to get the holidays rolling. Follow the instructions here. 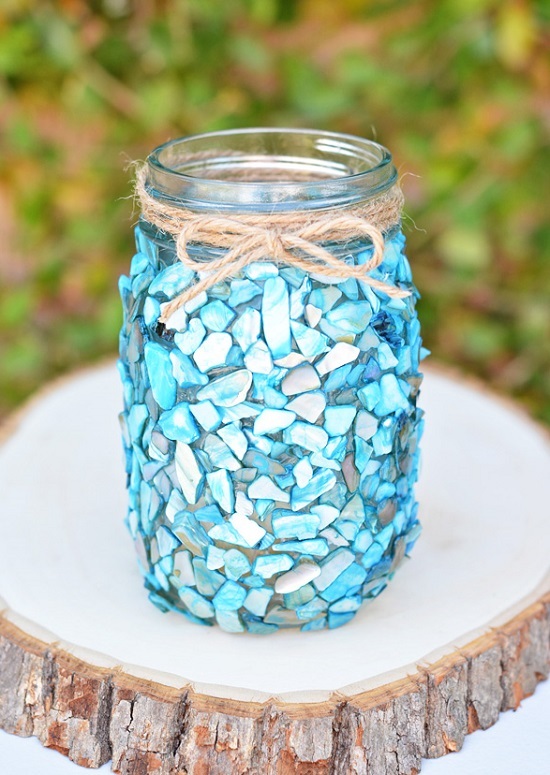 Embellish simple Mason jars with colorful seashell or mirror mosaic to create beautiful wedding table centerpieces that work equally well as party favors or luminaries for the evening party. Get the DIY here. 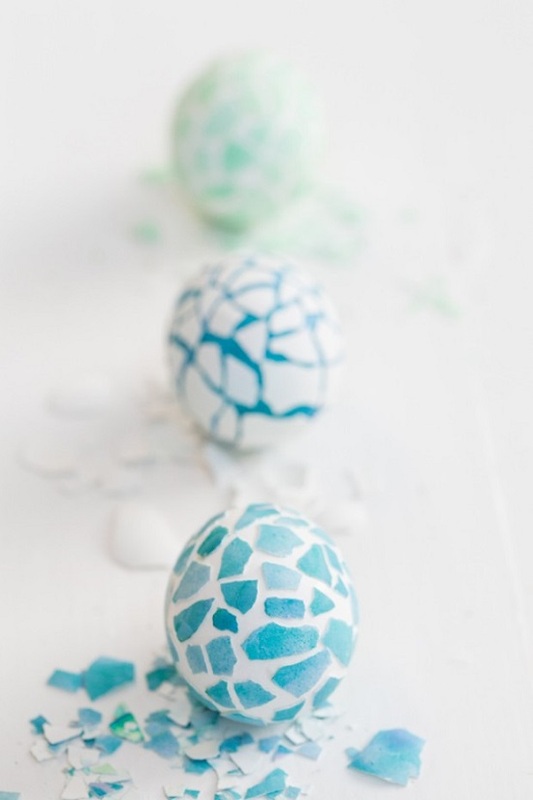 Give a three-dimensional twist to your Easter egg decorations this year with these captivating mosaic patterns. 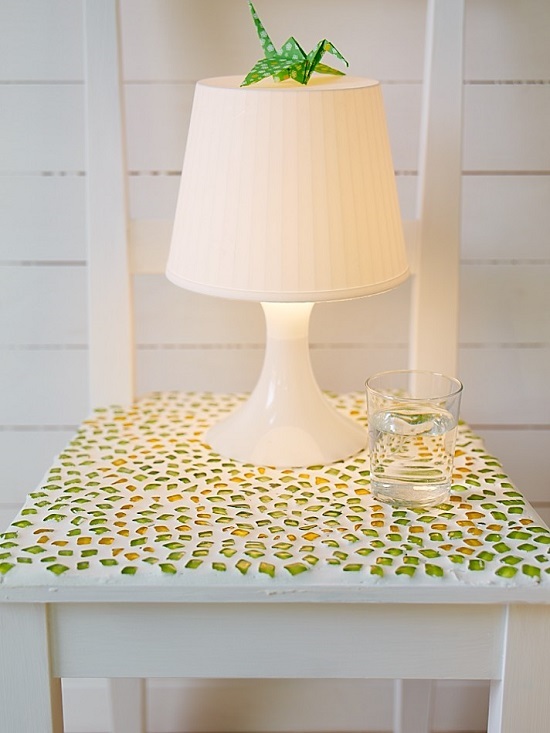 Placing the cracked shells is particularly fun for the kids who love doing mosaic DIY ideas. Get the instructions here. Who knew that broken China could have so many uses! Take this DIY for example. It involves sticking on broken china pieces on your favorite planters for a beautiful touch that blends seamlessly with every landscape design. 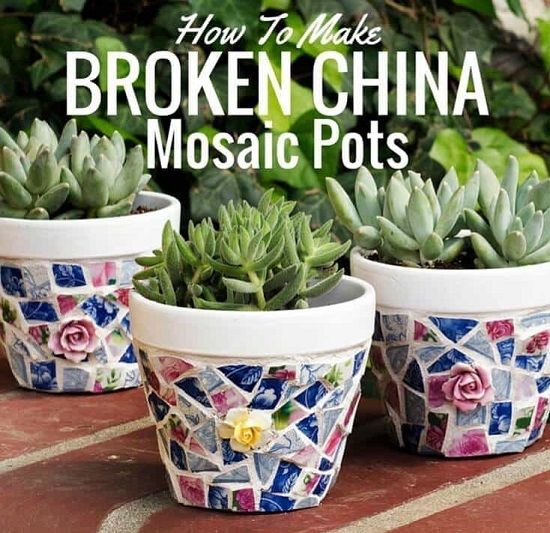 Combining broken china and broken tiles, this fun mosaic project is a fascinating way to upcycle leftover tile and end up with something useful. Follow the DIY here. 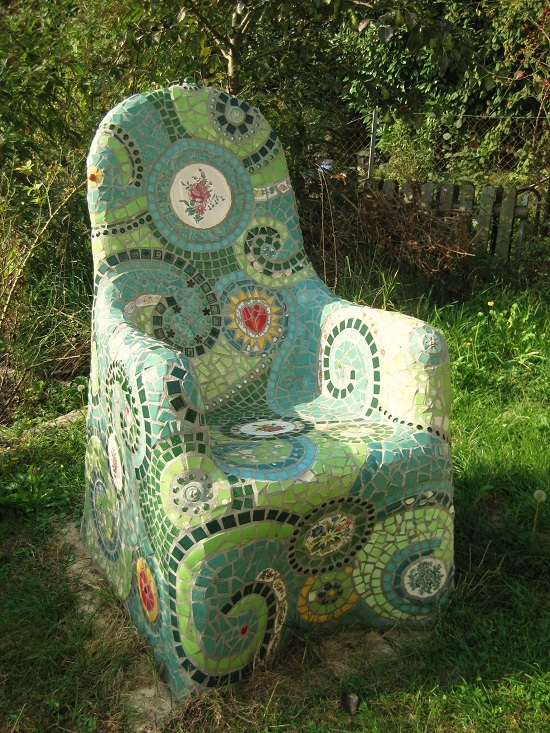 Albeit time-consuming, this mosaic garden chair is satisfying to make and has the potential to transform your ordinary outdoor space into a lush getaway for basking in the winter sun. Follow the instructions here. 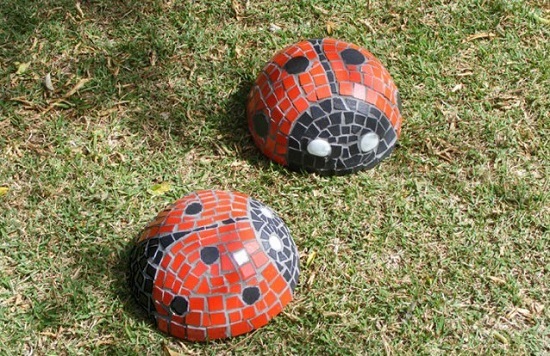 When spring is weeks away, and the garden is in pressing need of some life, consider placing these mosaic beetles as year-round relevant props that look nice gleaming in the sun. Get the DIY here. This is one of those DIYs that will leave you wanting for a hot bath and a gentle massage, but it ends up with beautiful end-result that will rake in compliments of your creativity for years after. Follow the steps here. This chic set of cocktail coasters with its gorgeous blue tiles and metal letters makes a lovely gift for the style maverick who has it all in life. Get the DIY here. 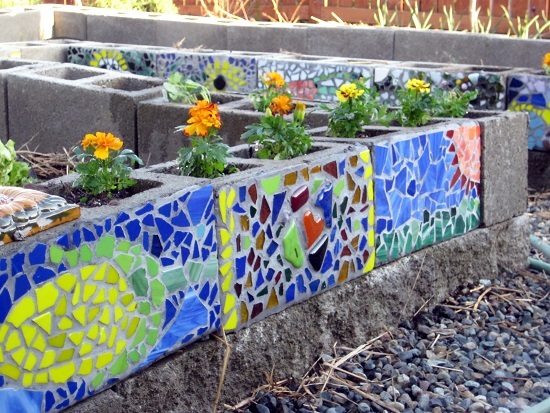 This DIY is a convincing example of how mosaic cubes can convert something as ordinary as PVC pipes into charming little flower holders that add life to your outdoor space. 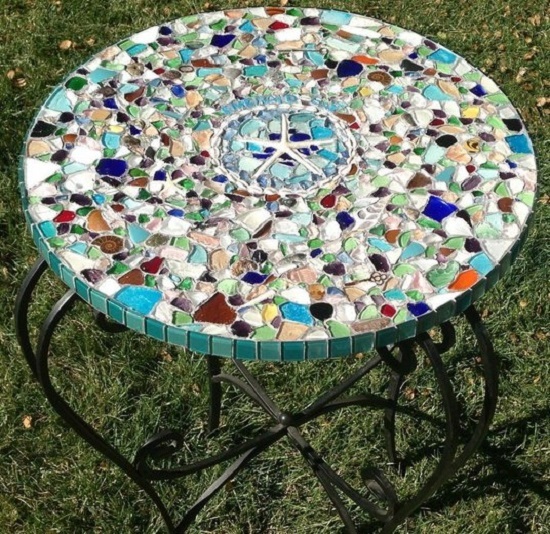 Add beachy vibes to your summer garden with this repurposed tabletop featuring seashell mosaic patterns. Get the details here. 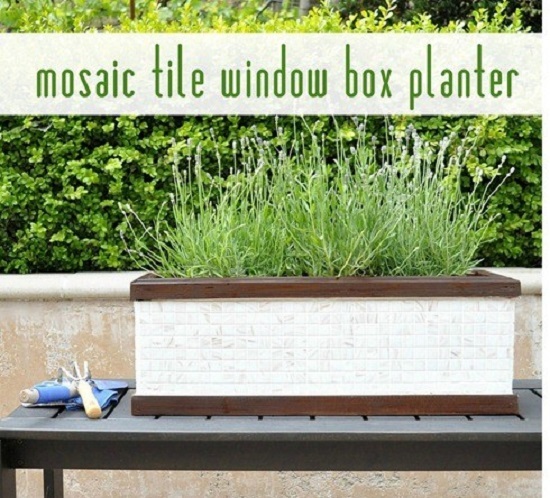 Dress up a drab window box with square mosaic tiles and any paint of your choice. Get the details here. If you’re looking to display your finest selection of succulents in the most elegant planter out there, this mosaic DIY is an excellent way to start. Click here for more details. Adorned with wooden discs that have their origins in the fallen branches of your garden, this upcycled mosaic vase DIY is remarkably easy to create. Get the details here. 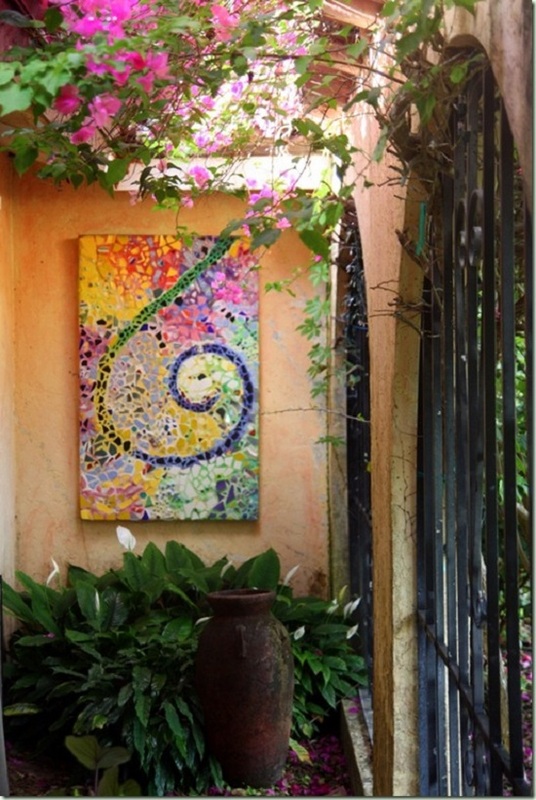 If your idea of a garden is something that involves rows and rows of concrete raised beds, consider going the extra mile and dressing them up with colorful tiles in mosaic patterns for that extra charm. Get the DIY here. 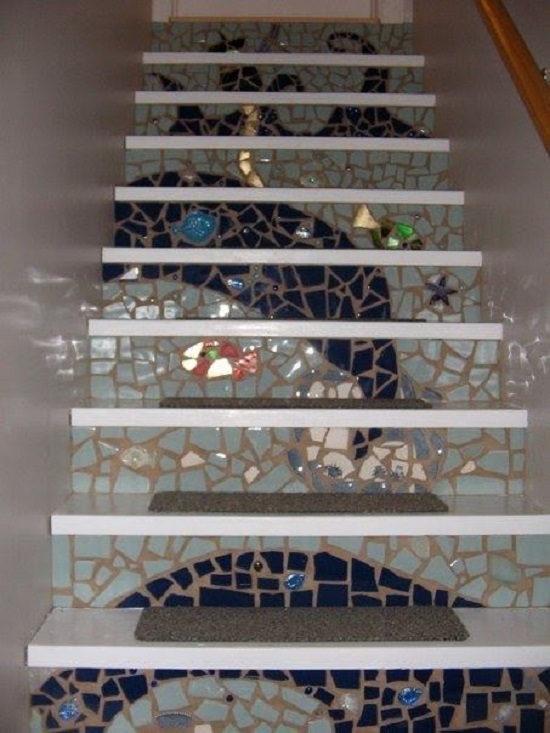 If your living room stairs are lack-luster and you don’t have to spend a ton of money on new enhancements, mosaic them for a cost-effective yet eye-catching facelift. Get the instructions here. 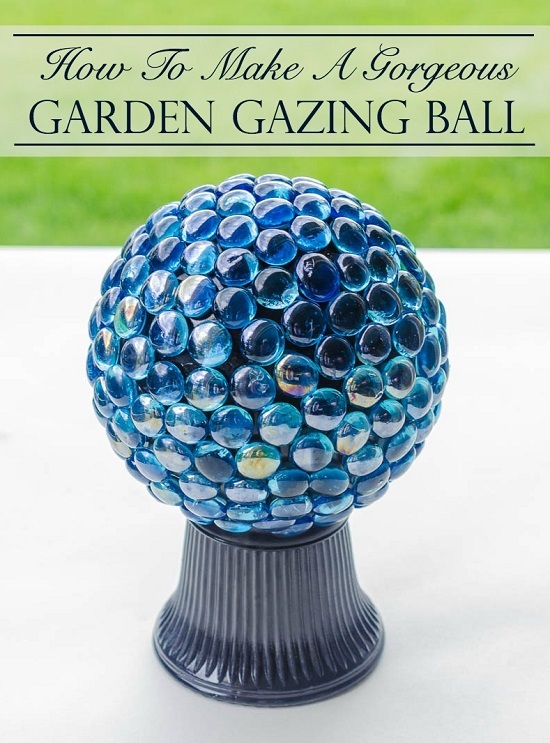 Whether you want to take your daydreaming to the next level or are looking to create a decorative focal point in the garden, this awe-inspiring gazing ball with its mosaic patterns is a sure winner. Get the DIY here. Add texture and personality to your kitchen with this easy mosaic hack that involves a tile messy, yet easy tile backsplash. Follow the instructions here. You can plant the most exotic vegetables in your raised garden, or arrange the plantings as neatly as you can, but what will make it special is the multiple mosaic patterns in the border. Click here for the DIY. Easy to DIY for beginners as well, this attractive tray idea can be replicated using any material of your choice, right from gorgeous seashells to broken mirrors and pennies. Get the details here. 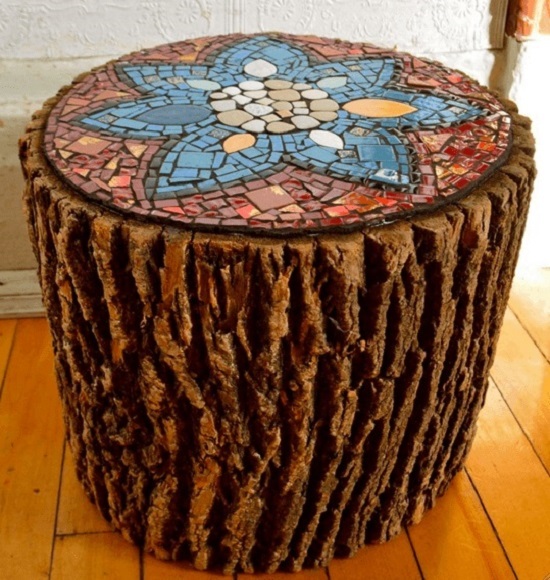 Using logs from fallen trees and broken ceramic pieces, this eco-friendly DIY is a great way to repurpose waste items destined for the dumping ground. Click here for details. Make your Christmas ornaments fancier by dotting them with broken CD bits if you feel that broken mirrors spell misfortune. Get the details here. Transform your bedside table with a whimsical effect by securing stones or tile pieces onto the top with a strong adhesive. 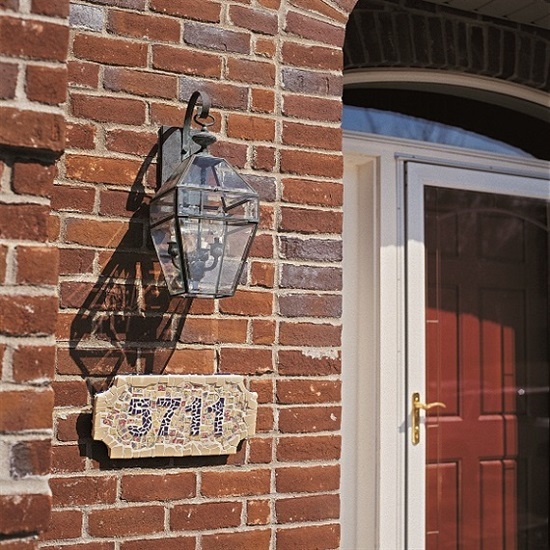 Take inspiration here. 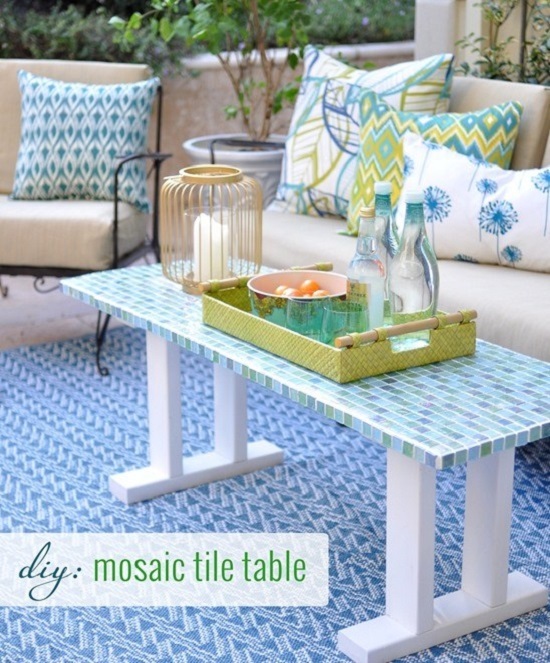 We hope that you got the inspiration you were seeking to craft some mosaic DIY ideas! 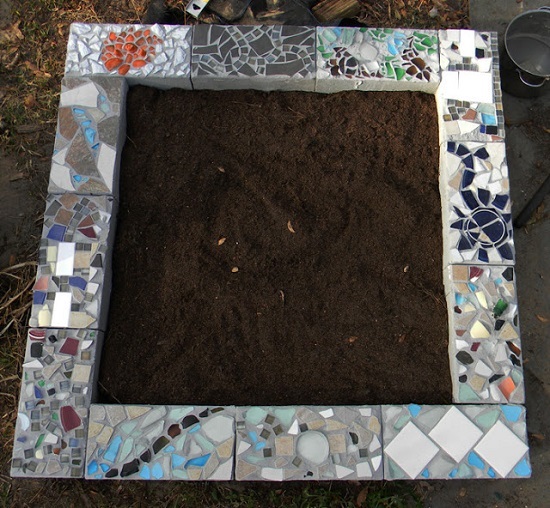 If you have more mosaic DIY ideas, feel free to comment down below.